Report confirms the Sony handheld has been put to rest. 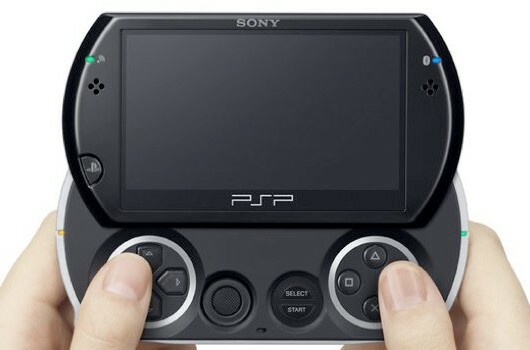 A report from IGN reveals that Sony Japan (SCEJ) has officially announced that it has ceased the production of the PSP Go and that the only ones that can still be for sale will be from the current available stock. A Japanese report from Phileweb (translated by Andriasang) says the company has formally announced it is ending production of the digital-only handheld, confirming a rumor that surfaced yesterday from an alleged Sony Store employee. This will allow Sony to shift its focus to the NGP, which is expected to ship in at least one territory by the end of this year. The PSP Go was released on January 11, 2009, originally sold at 26,800 yen in Japan and at $250 in the US market. With the absence of a UMD slot, it attracted some attention to adopt a new style for downloading games while utilizing a built-in memory but it never really got off. PSP Firmware 6.38 now available! Sony has released a new official firmware update for the Playstation Portable. You can use your PSP’s Network Update feature to download firmware version 6.38 via wifi. This new update does not really include any exciting features. The only thing Sony said about the update is that it’s just an improvement on the system’s software stability. This just a small security update by all means. For the PSP-1000, 2000, and 3000, you can download the US update here and the EU updates here. And for the PSP Go, you can get your update here. And if you want to keep your homebrew on your PSP and since there’s really nothing new in this update except for some small security patches, you might to skip this update. Sony Ericsson has finally ended its long streak of information leaks and stupid ads with a series of, uh, new ads for its “PlayStation Certified” Xperia Play phone. Comedian and now seemingly the spokeswoman Kristen Schaal presents you some of Xperia’s strongest features in a series of 5 ads. So far it presents that the Xperia Play is the perfect phone for downloading apps, looking at kitten pictures, editing spreadsheets, and watching YouTube? Who knew! Yahoo acquired MyBlogLog back in 2007 for a measly $10 million. But the problem was when Yahoo bought it, they never really did anything to it, and now Yahoo is just gonna stop the service and Mybloglog to be discontinued. Mybloglog’s concept was to help blogs to link to each other in their corresponding category and help keeps track of their readers, its help small blogs grow and helps add new members and enabled site owners to keep track of websites visitors. Tech4idiots has been using this service for some time and now has also taken out the mybloglog widget from the footer area of the site. Come May 24, Mybloglog will be discontinued. Yes you read that right, its obviously a sign that the Next-Gen Portables are coming soon to your nearest store shelves, and Sony is probably starting to show signs that its gonna begin shifting its focus to the NGP. Here we get news that Sony will slash the price of the PSP-3000 down to $130 starting this weekend. 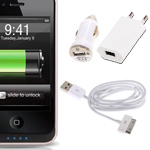 The previous price of $170 MSRP gets a $40 cut, a very considerable amount especially during these financial times. Also, all 3000-bundled Entertainment Packs will be also down to $160. The PSP Go price however, will still remain at $200. boo! Sony has announced the first PSN Gamers Choice Awards, nominees have been pre-selected by Sony, however, this will allow PSP and PS3 users to vote on their favorite downloadable game for each platform. Starting from Feb. 22 until March 1, users will be able to vote for their favorite downloadable PSP or PS3 game, Mini, and PSN-exclusive games by downloading a free XMB theme of that game. The games that will win in each of the categories will be discounted 50% for Plus members and 30% for all PSN users during this year’s Spring Fever promotion. 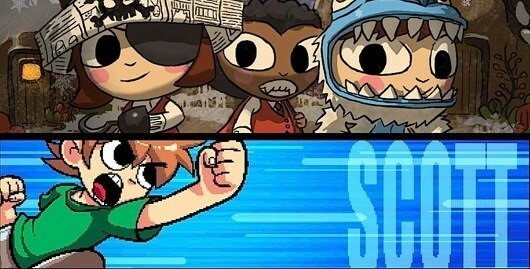 Free XMB themes will be available for games like Scott Pilgrim vs. The World, Costume Quest, and God of War: Ghost of Sparta and others more. Square Enix has announced that the game known as Final Fantasy Agito XIII would now be called Final Fantasy Type-0. Detail on why the name change is still scarce and will post updates as soon as more info comes. Here we are presented with a new trailer, which looks like a war footage and game play. Remember the PlayStation Phone posted here a few months ago? 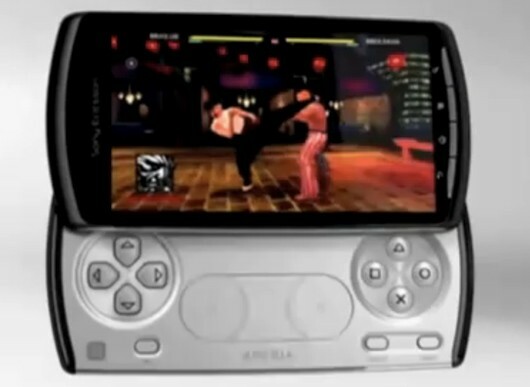 Sony Ericcson’s PlayStation-branded smartphone the so-called “Xperia Play,” or as a lot of us would prefer to call it “PlayStation Phone” now has commercial and has been sighted in YouTube. Here it shows the Android mascot having it own human thumbs sewn onto its arms, it also shows an unknown fighting game which sort of resembles and old version of Tekken.